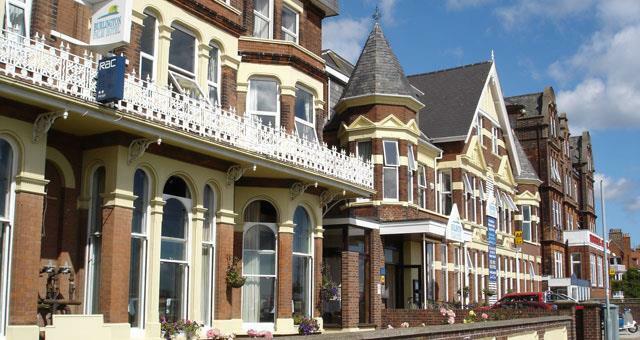 Palm Court Hotel01493 844568work Group AccommodationThe Burlington Palm at Great Yarmouth overlooking the sea acrosss the famous Golden Sands, provides a range of group friendly rates to enhance your break. The Burlington Palm offers extensive facilities available to all. The Delf and Hollis families who have over 50 years' experience in the hotel trade endeavour to make your stay an enjoyable and memorable experience. The hotel is very comfortably furnished and maintained to an excellent standard. We have a reputation for providing superior quality food and make every effort to source locally grown produce. Our wines are specially selected to compliment and we have Norfolk Real Ale on tap. We have two executive rooms for those guests wishing to take their comfort to the next level. These rooms have the added luxury of spa baths, walk in showers, full sized flat screen televisions, superking sized beds, and panoramic sea views. We are the only hotel in Great Yarmouth with a heated indoor swimming pool for the enjoyment and relaxation of our guests. (Towels and dressing gowns are available to hire). Standard rooming list – 52 persons – 10 doubles 6 singles 15 twin bedded rooms. 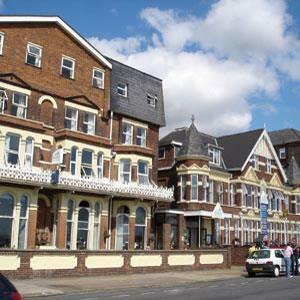 The Burlington Palm at Great Yarmouth overlooking the sea acrosss the famous Golden Sands, provides a range of group friendly rates to enhance your break. Special rates for group bookings are available on request. Please contact directly for further details.